In recent days, there has been growing anger in the political sphere over what is left of the country’s forests. During the just concluded National Budget debate in the National Assembly, Minister of Natural Resources, Raphael Trotman, made some shocking pronouncements. He said that upon taking up office in May last year, the David Granger administration met an alarming situation where it was discovered that 100 percent or all of the country’s productive forest was allocated by the past Government, mainly to foreign investors. He said that it was done without any regard for future generations. Trotman said that in the context of the national patrimony, this can only be seen as a threat to the nation’s long term viability and security as a people. 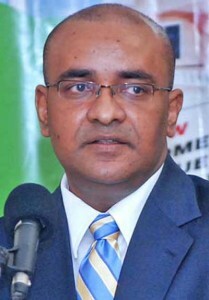 However, Jagdeo disputed the statements of Minister Trotman, when he addressed Parliament. Jagdeo, who served as President from 1999 to 2011, told the National Assembly on Friday that it was approximately 55 percent of state forest cover that was in fact allocated by his party. Trotman is on point with his report that all of the lands set aside for productive forest use have been given out. Some of the resource materials used to investigate this matter were two books Vivian S. Vieira’s “Logging in Guyana and Considerations for Improvements” and “Profit Without Plunder”. Published data, including some from Guyana Forestry Commission (GFC) itself, the body that regulates the use of the forests, revealed that there are other forested areas outside of the land demarcated for timber production. 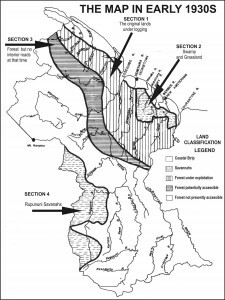 These areas include those parts of the forest for conservation and those that are not easily accessible or economically viable to sustainable logging or other operations. Maps would show that progressively, how between 1953 and 1973, the productive forest lands were expanded. 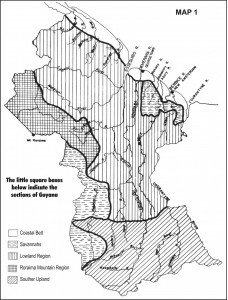 In addition, maps of Guyana showing the areas where the productive forests are located indicate that they are all gone. Since taking office in 1992, the PPP/C opened up new lands, including in Region Nine, in an area now controlled by BaiShanLin, a Chinese logging company. BaiShanLin is under investigation. One particular area is below what is known as the 4th Parallel Line on maps of Guyana. Former President, Dr. Cheddi Jagan, had ordered that no forest lands were to be allocated for logging in this area. This was a commitment he gave to the international community in the face of Suriname’s claim to Guyana. Dr Jagan’s order was not taken seriously by his successors. It appears that Jagdeo in quoting his 55 percent figure deliberately misled the National Assembly, by referring to all of Guyana’s forest cover. But all the forest could not be available for allocations to loggers and others. Under the GFC’s planning, not all of the country’s forested areas are for production. Rather, large chunks of it have been set aside for conservation purposes or have linkages to Amerindian communities for possible extensions, said one official of the GFC. The issue of forest lands is part of a bigger concern over the giveaway of the country’s resources. With the last two decades, especially under Jagdeo’s rule, state properties, and vast lands for gold mining and logging ended up through questionable circumstances in the hands of a few, many of them foreigners. Some of the companies and individuals were mere speculators. They sold out their concessions for hundreds of millions of dollars to foreigners, another official pointed out. Guyana, on the other hand, lost out on taxes and other obligatory revenues that would have been earned by the state. Little monitoring and corruption have also helped some of the companies to operate in a seeming wild-west situation, with smuggling, under-declaration and environmental issues resulting. The new administration has vowed to regulate the situation but few persons or companies have been brought to the court or penalized. One government official in defending Trotman’s statements had two questions for Jagdeo. Jagdeo claims 56%. Within the logging boundaries (production forest) of Guyana let him show us where lands are available for investment. Where are lands available to be designated as protected areas above the 4th parallel? 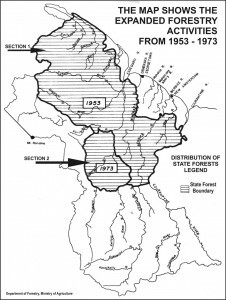 Maps are provided for easy understanding of how the forestry sector expanded over the last 80 years. 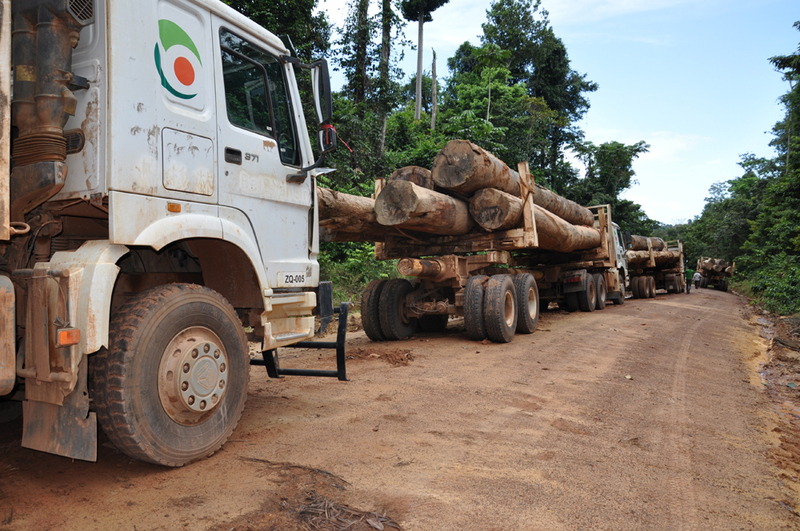 Kwebanna Wood Products, in Region One, was one of the forest concessions questionably re-allocated. Records that were once kept under tight wraps by the previous government are lifting the veil on what transpired in the forestry sector in the last two decades. 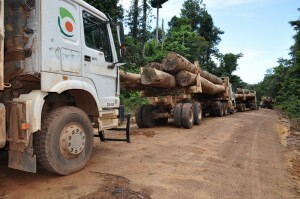 With Government saying that no productive forest lands remain available, records and complaints, including maps, are indicating that several concessions were repossessed, some forcibly, only to end up in the hands of not only close friends but a few foreign companies that have been under the spotlight. The concessions are located in Regions One, Seven, Eight and Nine. Last week, Minister of Natural Resources, Raphael Trotman, said that his Government, shortly after coming to office last year, discovered that hundreds of thousands of acres of the area set aside for logging and other forestry activities are all gone. However, Opposition Leader and ex-President Bharrat Jagdeo, denied this was so, saying that only 55 percent of the forest has been allocated. He said that most of the lands were granted before 1992, under the PNC government, to companies like Barama. Recent maps and other records indicated that indeed no lands in the areas allowed for activities are available. Other records, acquired by Kaieteur News, along with complaints of concessions holders, are showing a pattern where lands were taken away and then re-allocated. In some cases, the lands were acquired, under questionable joint ventures (JV) and other arrangements, by companies like Chinese-owned BaiShanLin and Vaitarna Holdings, an Indian company. Some of the concessions that have been re-allocated included those belonging to Kwebanna Wood Products; Caribbean Resources, Unamco, Simon and Shock; Sherwood Forests and Demerara Timbers. According to the records, these prime forest lands were allocated to not only BaiShanLin, but also to companies like Rong An Inc, Grand Bright Forestry; Hi Tech and Puruni Woods. Some of the concession holders said that they were told to sell or enter joint venture arrangements or face the concessions being taken away. In one case, a Region One concession under a prominent family from Essequibo ended up in the hands of a foreign affairs official who is based in Florida. This concession was acquired by BaiShanLin shortly after. Most of the concession holders said that they were fearful of speaking before. They said that they were also pressured by the Guyana Forestry Commission which used “all sorts of reasons” including non-compliance, to force them to sell off. Significant to note also is that the concessions given out did not see any processing taking place there. It would raise questions about the monitoring of GFC. Minister Trotman last week said that land grabbing was done without any regard for future generations. He made it clear that in the context of the national patrimony, this can only be seen as a threat to the nation’s long term viability and security as a people. The administration is now moving to change the forestry laws. The call from the Parliamentary Opposition, the People’s Progressive Party/Civic (PPP/C), for Minister of Natural Resources, Raphael Trotman, to apologise for accusing the PPP/C of ‘giving away’ 100 percent of Guyana’s productive forest, was met with a challenge to debate yesterday. 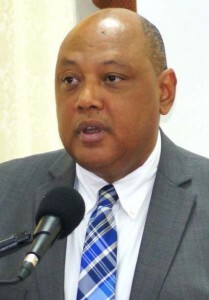 The minister asked to comment after an article was published captioned, “PPP wants Trotman to apologise for ‘forest giveaway’ revelations”, stated that the opposition should “bring their documents and the government will bring theirs and let the matter be debated in Parliament so that the issue be dealt with once and for all”. The following day, Prime Minister Nagamootoo took evidence to the House that supported what was initially said by Trotman. 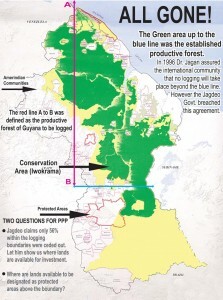 Further, the media had released information explaining in detail what the PPP did with Guyana’s forest to the extent where it gave out forest lands that were not to be given out. But the PPP holds out that it is all a lie. The party claims that the “lie” undermines the Guyana-Norway partnership and Guyana’s international reputation. The Party says that in the absence of an apology and a full retraction, it will be seeking an independent investigation into the claims made by Minister Trotman. The Party said, “Pending the outcomes of this investigation, the PPP will have no choice but to support Norway in suspending the Guyana-Norway partnership in order to preserve its integrity in the long-term interests of Guyanese citizens”. In a statement issued on Tuesday, the PPP said that Minister Trotman and Prime Minister Moses Nagamootoo both lied about the PPP/C government’s 100% giveaway of Guyana’s productive forest and “they must apologize to the people of Guyana”. Meanwhile, after this allegation went viral late last week, it created a massive stir especially on the Social Media platform where some Guyanese locally, and in the Diaspora have described it as both “frightening and creepy”.